10 years is a good length of time to re-evaluate a film and include it in my list of current and lasting family adventures for two reasons. One, your kids either saw this movie when it came out and are now teenagers and too “cool” to watch this movie, or, two, your kids were not born yet and maybe you were unaware of, or forgot that this movie came out. This is the most contemporary piece of my series so far, and I am going to try to present more obscure and, perhaps, a bit older items, as the current popular kid shows and movies are reviewed and presented all over the web. I would like to use this series as a tool for introducing your family to experiences you may have passed over or never heard of. With that said, I present Scooby-Doo (2002). 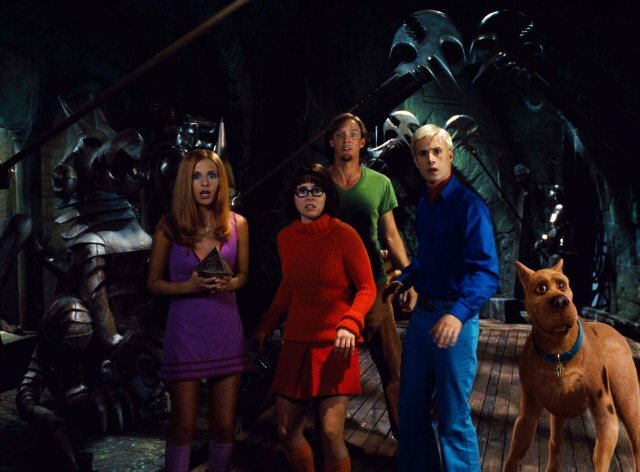 Chances are, you’ve probably heard of Scooby-Doo and his pals. Most people fondly remember the cartoon of the 1960s and ’70s. 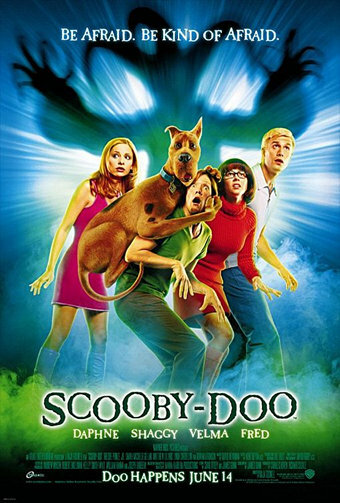 I am presenting the 2002 movie version not because it is the best Scooby-Doo story, but because it is the most accessible for your kids. As a child of the 1980s, I was able to enjoy the reruns on Saturday mornings, but kids of today require something a little more flashy and stylized to keep their interest. This live action version of Scooby-Doo introduces the characters of Mystery Inc as they are at the tail end of their careers. They are frustrated with each other and split up. They all get invited separately to the latest summer hot spot, Spooky Island, where they reluctantly share hellos and ponder as to why they were all secretly brought back together. It isn’t long before the gang realizes that something fishy is going on the island, and they all decide to investigate. Without giving too much away, the gang must put aside their differences and band together to solve the mystery, finding along the way that they really do work well together and that they all miss each other and wish to reform Mystery Inc.
Why it is a fantastic adventure: Scooby-Doo himself is always a fun character, and the kids will get a lot of laughs from a talking dog. The CGI version of Scooby still holds up very well and your kids won’t have to ask why Scooby looks like a man in a suit or a puppet. The sets range from bright and colorful to dark and scary, as the gang ends up in a haunted house at one point in the film. The haunted house scenes in particular are a lot of fun and will remind your kids of a spooky ride at a carnival, which only heightens the sense of adventure. Even pretending to be in a carnival ride sparks creativity and imaginative thinking, and that is a very important factor in child development. Also, you will be entertained by the various adult references in the film that will completely fly over your kids’ heads. There is something for the parents in this one, as well. Talking dogs, spooky haunted house rides and bright, colorful imagery will help fuel your kids’ imaginations and hopefully get them outside to play “make believe” after the film is over. I have this one on DVD. I agree with everything you said and would add that Sarah Michelle Gellar does a great job as the dumb blonde Daphne, and Freddie Prinze makes a hilarious Fred!